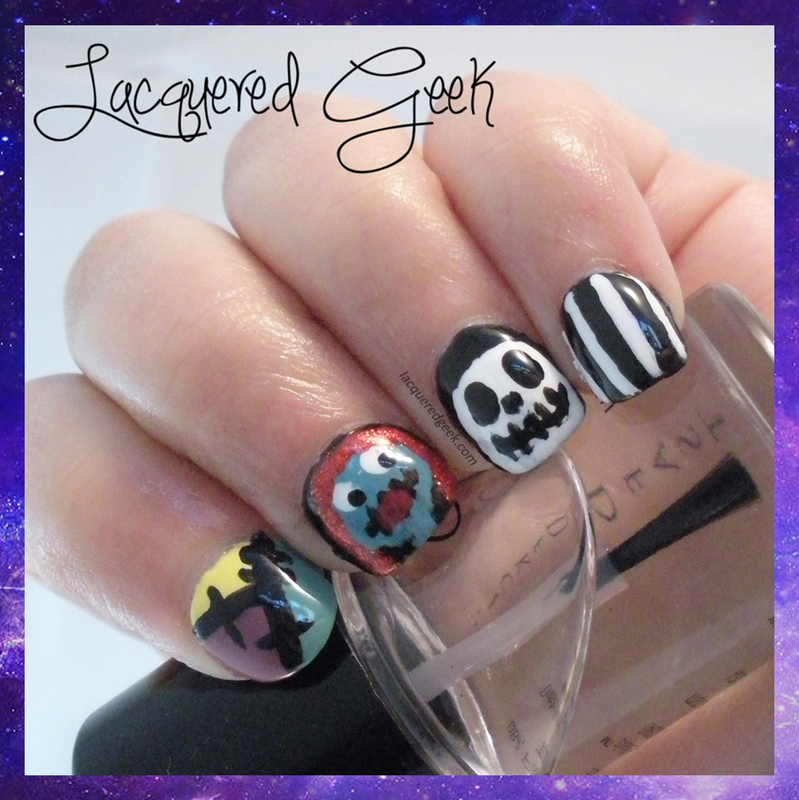 Lacquered Geek: Halloween Nail Art: Jack & Sally (The Nightmare Before Christmas)! 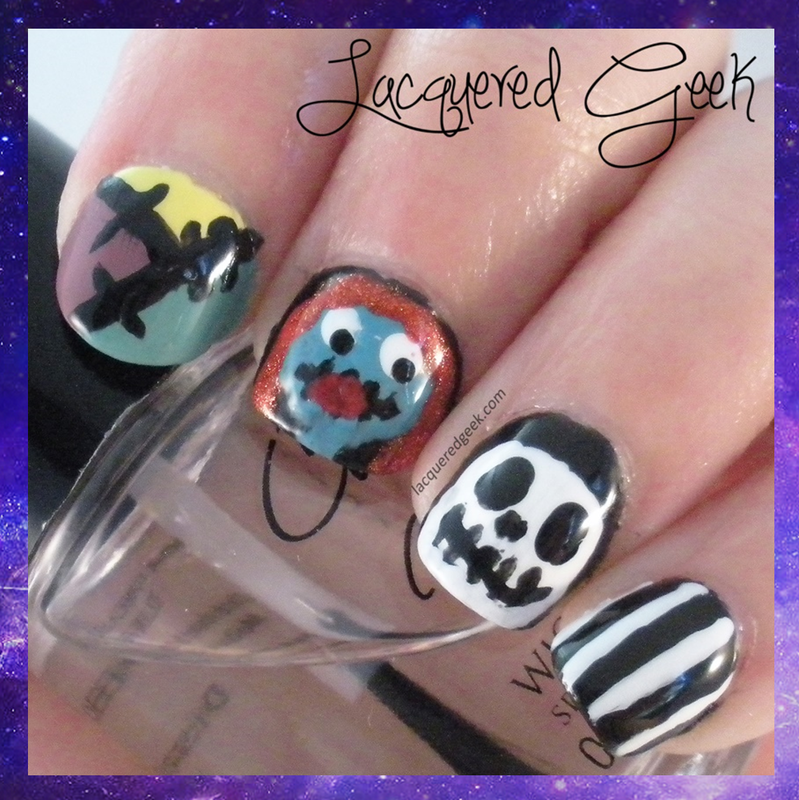 Halloween Nail Art: Jack & Sally (The Nightmare Before Christmas)! Happy Halloween!!! It's the final day of my Halloween Nail Art. I really hope that you've enjoyed the posts as much as I enjoyed doing them! 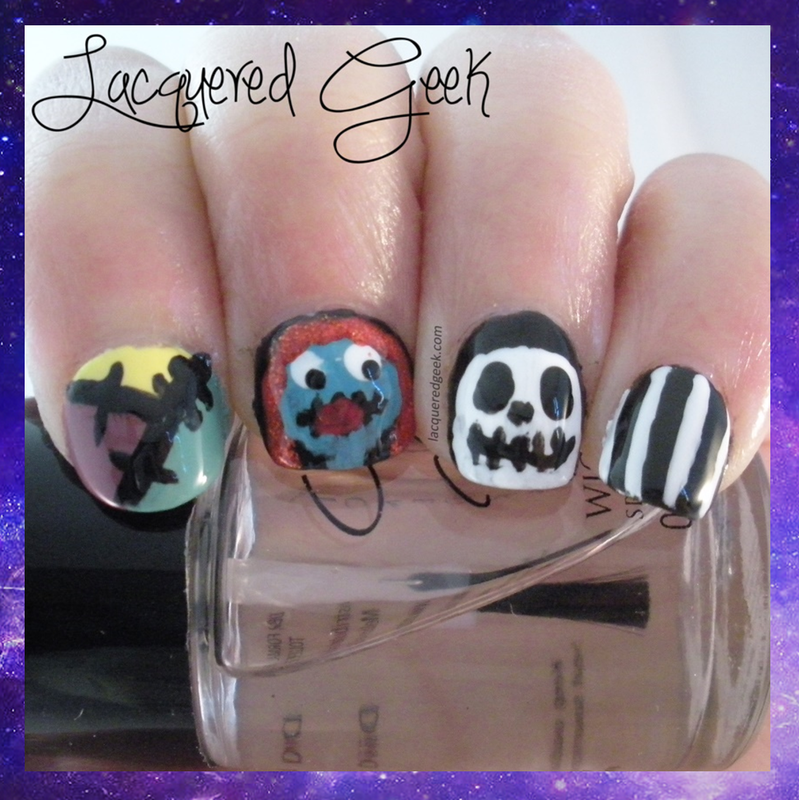 For my final post this week, I did Jack & Sally from The Nightmare Before Christmas. Obviously I need more practice with faces. But for my first try, this turned out pretty well. The stripes and the patchwork look really good. Did you dress in costume (or planning to tonight)? If so, what are you going as?